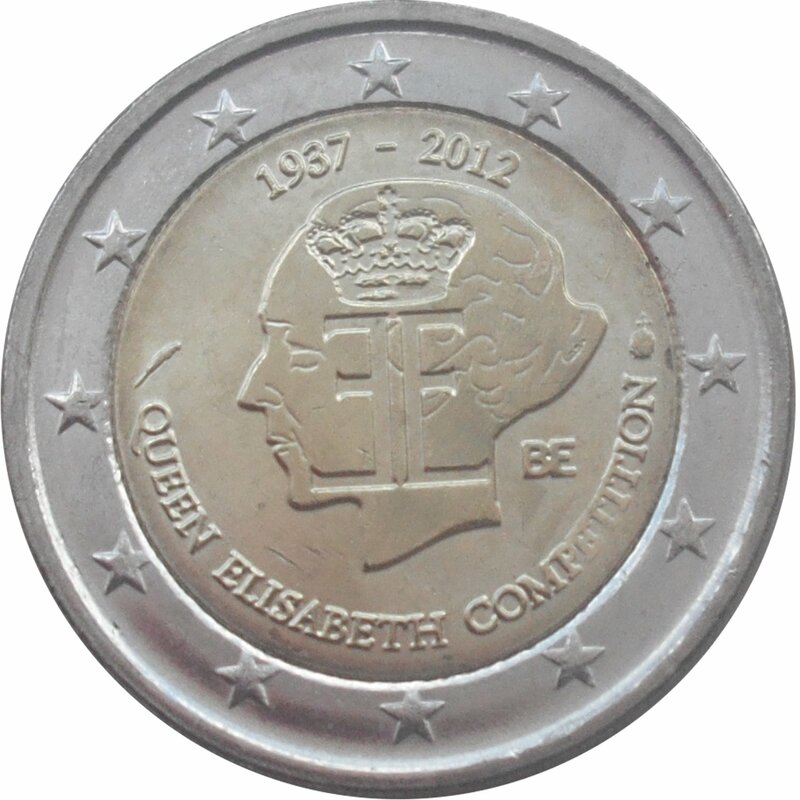 The inner part of the coin shows the logo of the Queen Elisabeth Competition superimposed on a left profile of Queen Elisabeth, who founded the music competition in 1937. 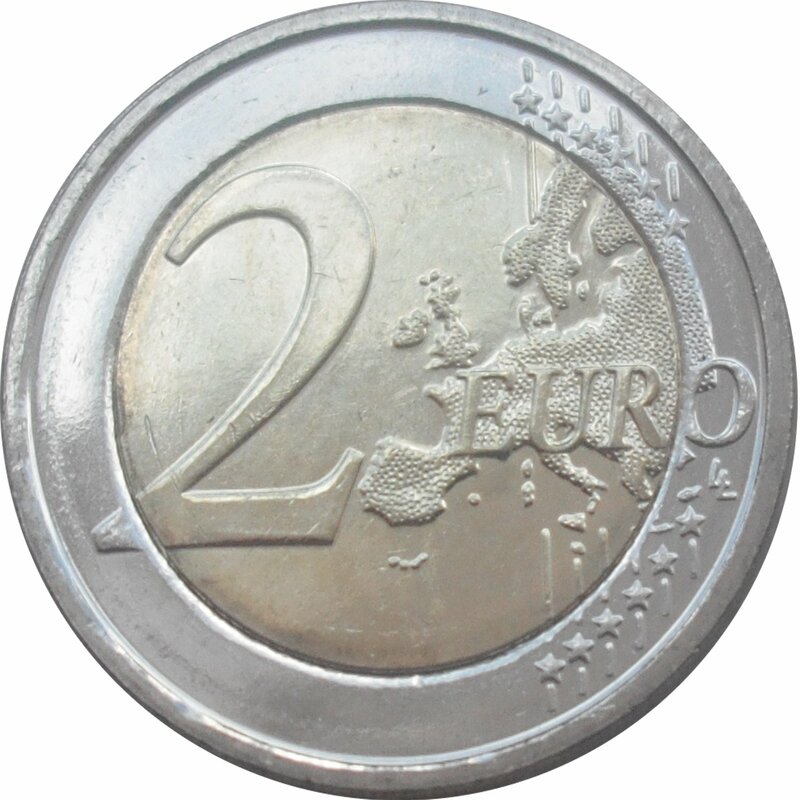 On the left is the mintmaster mark (a quill) and on the right the mintmark (the head of the Archangel Michael). 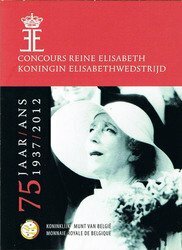 In a semi-circle along the bottom edge of the inner part is the inscription “QUEEN ELISABETH COMPETITION”, while the years “1937 – 2012”, marking the 75th anniversary of the competition, are inscribed along the top edge. 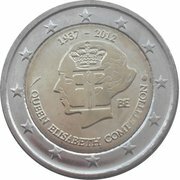 The letters “BE” to the right of the image refer to the country of issue. 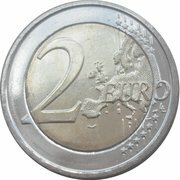 The outer ring depicts the 12 stars of the European Union.